PALO ALTO, Calif. - March 2, 2016 -- The Open Source Initiative® (OSI) is honored to announce ISC (Internet Systems Consortium), the organization behind the ongoing development and distribution of the most used name server software, BIND, has joined the OSI as an Affiliate Member. Founded in 1994, ISC plays a critical role supporting the fundamental architecture of the Internet, driving standards for the Domain Name System (DNS). ISC provides leadership both in standards development and software for the Dynamic Host Configuration Protocol (DHCP) and is an active contributor to the Internet Engineering Task Force. The OSI Affiliate Member Program, available at no-cost, allows non-profit and not-for-profit organizations—unequivocally independent groups with a clear commitment to open source—to join and support our mission to raise awareness and adoption of open source software and to build bridges among different constituencies in the open source community. 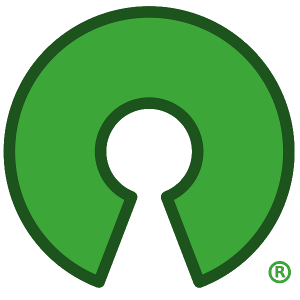 Affiliate Members participate directly in the direction and development of the OSI through Board of Director elections as well as incubator projects and working groups that support software freedom. OSI membership provides a forum where some of the world's most successful open source software leaders, projects, businesses and communities engage through member-driven initiatives to, promote and protect open source software, while also to extending and improving their own open source efforts through co-creation, collaboration and community. Internet Systems Consortium (ISC) is a 501(c)3 public benefit corporation widely known for world‐class Internet software engineering and network operations. Founded in 1994 under an initial grant from UUNET, ISC is governed today by a 4-member Board of Directors. ISC software, of which BIND, ISC DHCP and Kea are the best‐known examples, is open source. ISC created and maintains Internet core technology.